The natural park (area of 250 hectares) was founded in the year 1885 by Count Arnošt Emanuel Silva-Tarouca. He took advantage of the miscellaneous valley of the stream Botic and its tributaries, the Dobřejovický and Zdiměřický streams. He introduced both native and woody species in to the park. The bases of the park composition were open spaces, that he set up in a brilliant way. He combined woody plants, groups of trees and brushes with meadows, ponds, streams and their dead meanders. He used the changeability of woody plants in different seasons of the year with great skill. The result of his lifelong hard work is an original masterpiece of garden landscape architecture of worldwide importance. Apart from its artistic and historic significance, the park is also valuable from the dendrological point of view with its collection of about 1,600 species of local and exotic plants. The collection of rhododendrons is particularly unique. There are about 8,000 rhododendrons within 100 taxa and cultivars. The valuable collections of plants in the garden are used as the gene pool in the Botanical Garden in Chotobuz, with a collection of conifer cones also belonging to the garden. The park itself is the most significant landscape element southeast of Prague and an important haven for the variety of organisms in this part of the country. 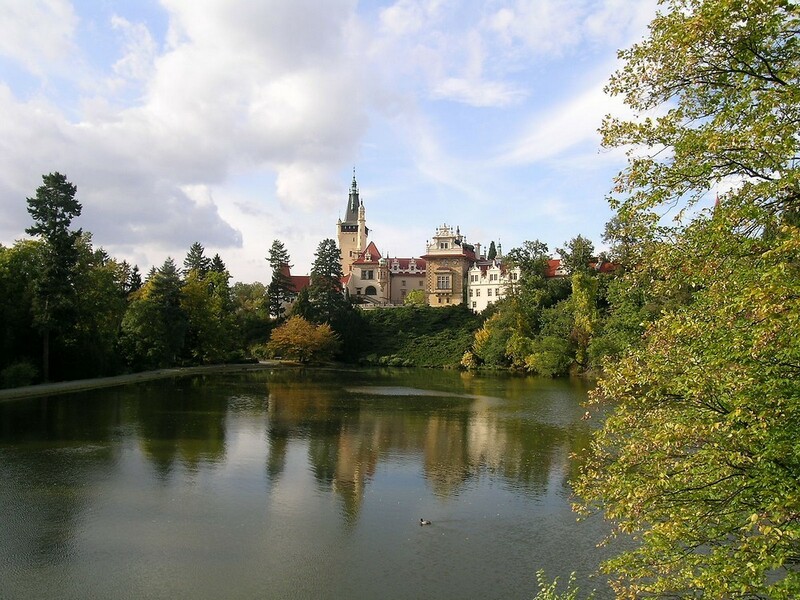 The Průhonice Park is UNESCO World Heritage Site and Czech National Historic Landmark.